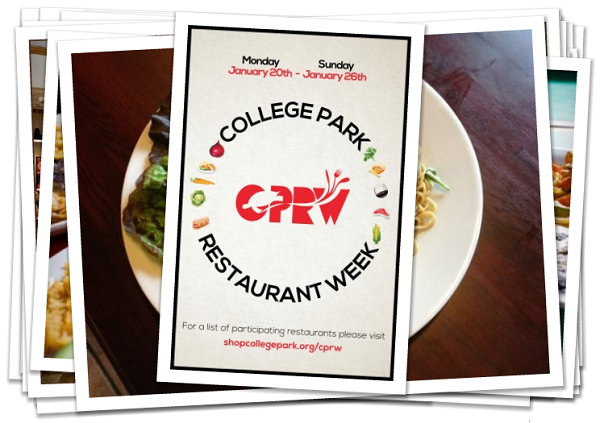 Between January 20th and January 26th visit one of 16 locally-owned restaurants that are participating in the return of College Park Restaurant Week. Specials range from multi-course meals to discounted menu items, so it’s a great chance to grab lunch with your co-workers, take the family out, or have a nice meal with your significant other. Record your Restaurant Week fun in photos! Tweet them to us at @collegeparkfdn or email them to us at cpcfdn@gmail.com and we’ll retweet and feature them on the website. Visit shopcollegepark.org for a full list of participating restaurants and their specials for the week.